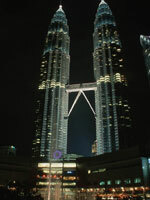 Malaysian Business hours - brief information about travel in Malaysia. Malaysia runs on a normal eight-hour working day system with Saturdays as a half-day workday and Sunday as a day of rest. All public service departments and some banks usually close on the first and third Saturday of the month. However, the states of Kelantan, Terengganu, and Kedah practice different office hours. Saturday to Wednesday are full working days while Thursday is treated as a half-day workday. The weekend starts on Friday. Private sector hours are generally from 9am to 5pm (Monday-Friday) and 9am to 1pm (Saturday) while government office hours are usually from 8.30am to 4.30pm. Many private sector companies operate on a five-day week. All about Malaysia and Borneo, including Sabah Malaysia, for adventurous and scuba diving in Malaysia information and travel tips of Malaysia.